I could be wrong but I feel that between the US and the UK, the UK is much more interested in the telling of haunting Christmas stories; ones with ghosts with dire consequence. In the US it feels like we still just want warm stories of Christmas miracles or redemption plus lots of cute. Let me tell you right now which I prefer. There is something really exciting about a good ghost story but one that takes place around Christmas is even more exciting. A while back I did an article about A Christmas Carol and there I did a look at the history of such stories. They certainly existed prior to Charles Dickens ever wrote the story but he made one of the most famous stories of the genre. Then there is M.R. James. M.R. 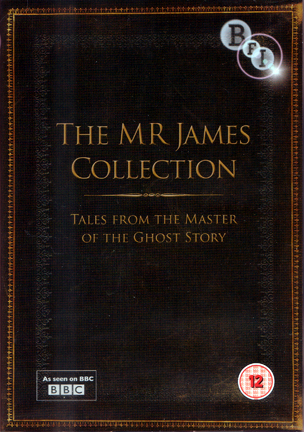 James was a writer who was known for writing some of the best ghost stories ever. Period. One of the hallmarks of what James wrote included characters that had antiquarian tendencies. These are people who studied or was aficionados of things past. This is very true of the program I am writing about today. His stories were put into a number of collections over the years but a lot of these ghost stories were written as Christmas Eve entertainment that would be read out loud on that evening. The thought of it is really very cool. The BBC decided to take the idea a little further. 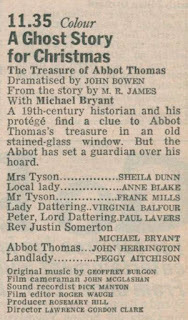 From 1971 to 1978, the BBC created a collection of these stories from M.R.James called A Ghost Story for Christmas. Other stories were done before and after this run but this is the main run of the series. Every year focused on a different story. Each story’s approach was different to the one the year before. 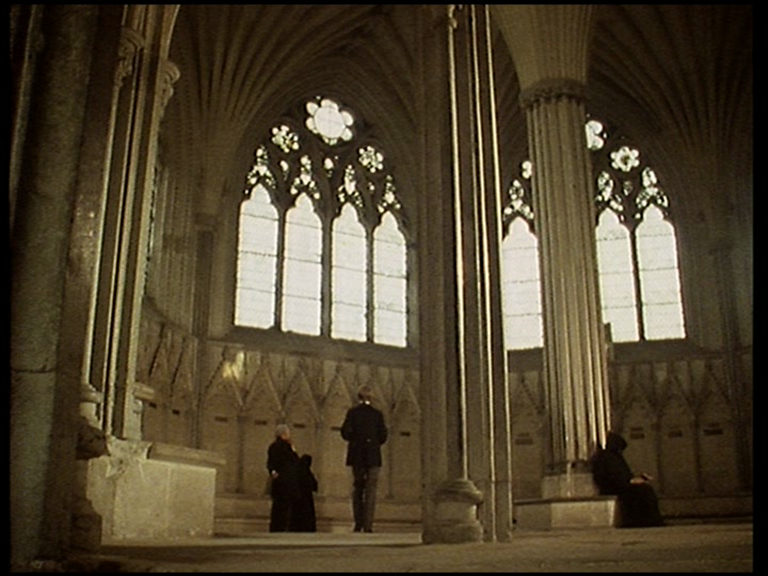 The first one made in this series was The Stalls of Barchester in 1971. 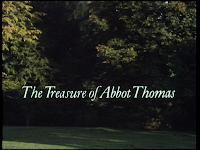 The Treasure of Abbot Thomas was the 4th entry in this series. What I enjoyed about this story is how straight forward it is. 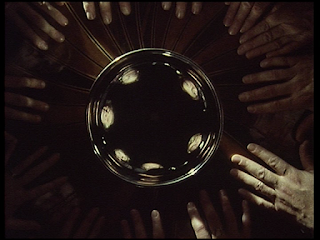 The story starts off with a séance. To be honest, I would have thought this would have been a big part of the story but as it turns out this is just a prop to show some arrogance to one of the characters. Rev. Justin Somerton has a close friendship with the younger Lord Peter Dattering. Lord Dattering looks up to Rev. Sommerton and is his mentor. Lord Dattering invites Rev. Sommerton over to his mother’s house as he is sure that his mother has no respect for him. The hope is that Rev. Sommerton can show her what a good, intelligent person Lord Dattering can be. Lady Dattering has been using the talent of a medium, Mrs Tyson, to hold séances to get a hold of Lady Dattering’s late husband. Most nights she has success but tonight will not be a good night for her because of Rev. Sommerton. Rev. Sommerton accomplishes two things with this visit. First, to bolster the reputation of his friend Lord Dattering to his own mother but also to show Lady Dattering that the séances are faked. This is obviously horrible for Lady Dattering but it is best that she knows. There is something else that both Rev. Sommerton and Lord Dattering are interested in more than séances. The research that Rev. Somerton has put into the monastery has uncovered that the Abbot Thomas had a treasure hidden somewhere currently at the monastery and also the possibility that he dabbled in alchemy which is the attempt of turning ordinary metal into gold. Rev. Somerton is intrigued to find this, not for the money but for the quest. What he doesn’t care about is the warning that the treasure is guarded and something bad will happen to him if he takes the treasure. 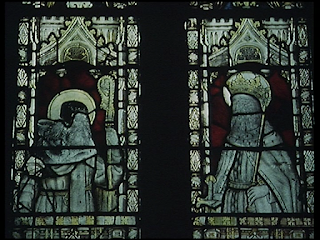 The two get a lot of clues in Latin but the real break though comes when they find some hidden writing on a stain glass window in the monastery. This is leads them to the roof of the church. From the top, they can see where the treasure could be located. One night, Rev. Somerton goes out there alone which leads him into underground catacombs on the monastery grounds. He paces himself off to make sure he gets to where he needs to go to get the treasure based on the clues he received. He gets to the right place and as he bursts the stone wall, a ton of black sludge and slime pours out plus someone is down there in the catacombs ready to attack him. He makes a hasty retreat to go back up to his room but something else happens. The black slime follows him to his room. It starts seeping under his doorway. It appears to do this nightly which makes the Rev never wanting to leave his room. Once Lord Dattering is able to see Rev. Somerton, the Rev. begs Dattering to take the treasure back thinking that once the treasure is returned, he will be left alone and his health will return to normal. Lord Dattering returns the treasure and the two go to Lord Dattering’s mothers place where they await for a doctor to care for Rev. Somerton’s illness resulting from the ordeal in the catacombs. As we see a doctor make his way up the path, his friends leave him to the doctor but we find out it is the Abbot, himself from the dead, coming to collect him. Rev. Somerton suffers from greed. Not greed of monetary value but of knowledge. He wants to solve the mystery of where this treasure is located. This is a great example of someone of the M.R. James books who is an antiquarian. He is interested in finding out what happened to it. It’s interesting, without knowing this story at all, I really thought Lord Dattering was the one who was extremely interested in the treasure for monetary gain. That wasn’t the case at all. One of the things I really liked about this production was that it was short. What I mean by that is that it was a tight story that moved quickly. Shot on film, there is a lot of great touches to the production. One thing which stood out for me was every time a clue was revealed, we would get a glimpse of a presence that was foreshadowing what would happen to Rev. Somerton. When they figured out the hidden writing on the stain glass window, something shadowy flew by on the other side of the window. Later something attacked Somerton on the roof of the monastery. 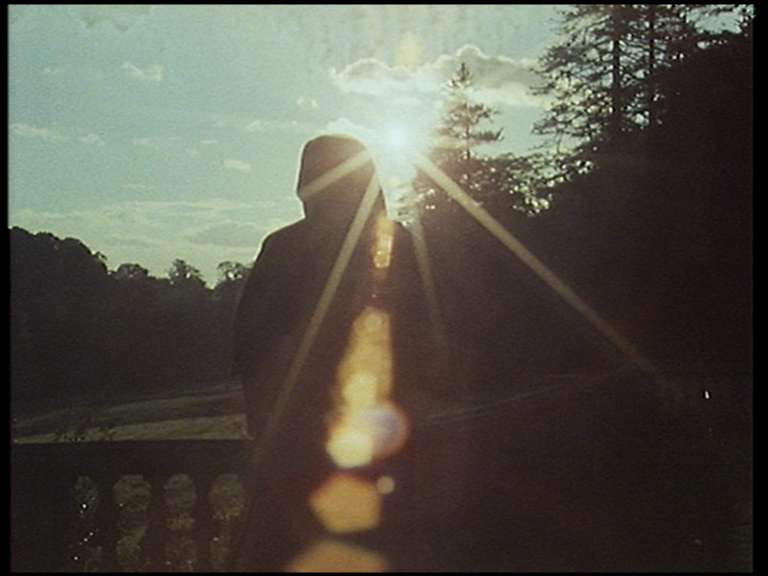 With the whole production on film, there is this sort of foreboding feel with the events that are taking place. I touch on this a little in my article for Count Dracula. It’s how there might be a sunny day but it still feels very ominous. Something nasty lurking in the background. It might just be the film stock used but it adds so much atmosphere to the production. What also adds a lot to the production is the location used for this. It is grand and very beautiful. 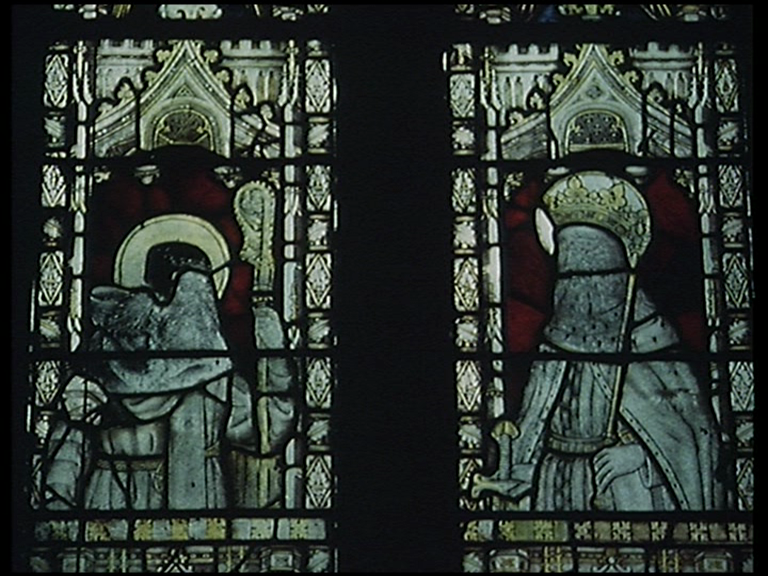 The DVD for this set was put out by the BFI and includes a filmed introduction by the director, Lawrence Gordon Park, who said the church was unsure if they wanted the BBC back as the year before the production of Canterbury Tales was shot there and they shot all sorts of naughty things within the church and Park needed to assure them that wasn’t going to happen in this production. Park’s direction of this production is very strong. Like I mentioned before, this script is very good and Park was really happy with the script as delivered. The music adds a great deal of atmosphere to everything. 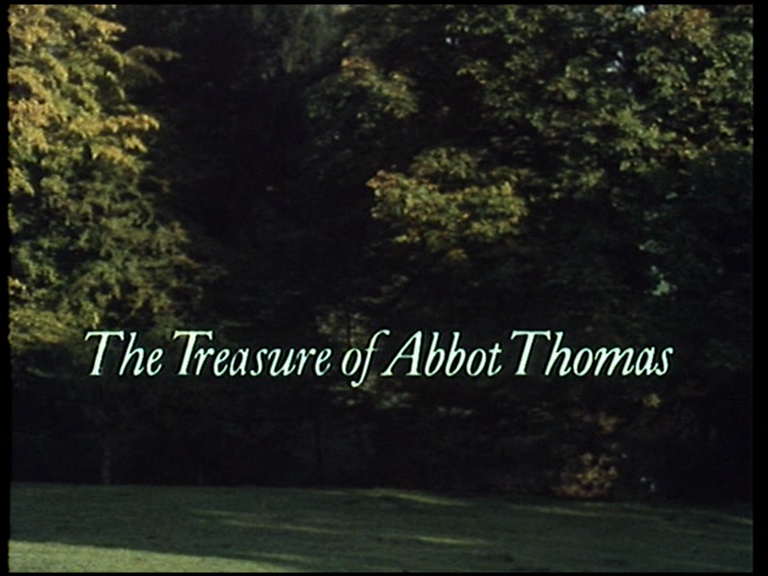 It was composed by Geoffrey Burgon who created a soundtrack that had a lot of eerie chanting to it. It is along the same lines of what he would go on to write for his soundtrack for Tinker, Tailor, Soldier, Spy. 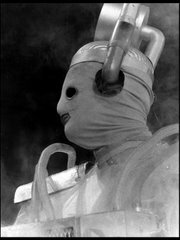 He also did the music for the Doctor Who stories Terror of the Zygons and The Seeds of Doom. As for the cast, Rev. Somerton was played by Michael Bryant. He was in another ghostly Christmas stories of sort as he played Peter Brock in The Stone Tape. 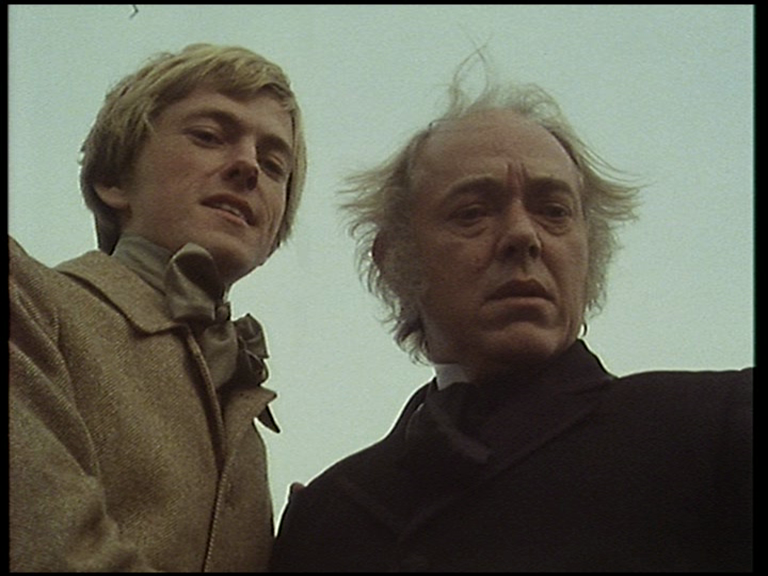 Paul Lavers played Lord Peter Dattering. This appears, at least from IMDB, to be his first television role. It is curious to see Mrs. Tyson, the fake medium, was played by Sheila Dunn who was Douglas Camfield’s wife. I guess curious because I personally haven’t seen her in much else other than her appearances in Doctor Who. Her husband, in the production, was played by Frank Mills which puts a smile on my face. He would later play the character Fig Newton the private detective in Rumpole of the Bailey, which is always one of my favourite series. 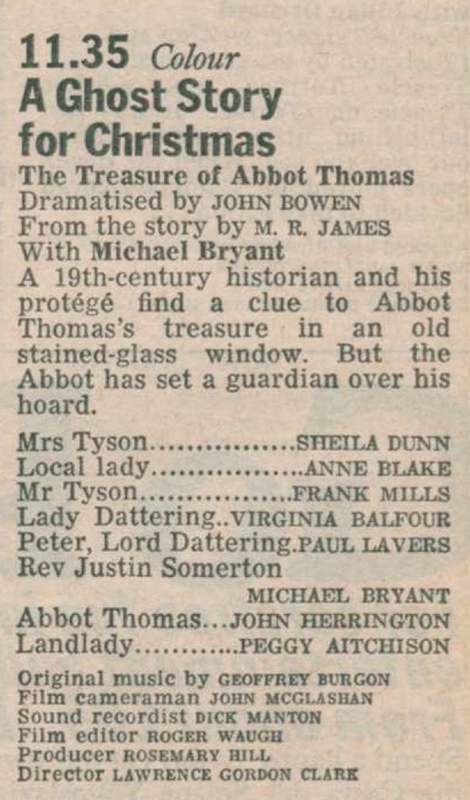 Finally, the Abbot was played by John Harrington. Those who have seen this, the scholar in the library that we would briefly see in some scenes is also the Abbot, right? It feels like great pains are made for us to catch a glimpse of him. This production has many of my favourite elements in a production to evoke this kind of gloomy atmosphere in plain sight. 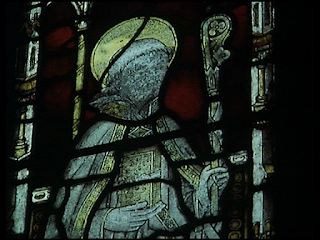 I love the clerical setting of churches or monasteries, chanting music and just a ghost story. Although it is A Ghost Story for Christmas, there are no Christmas elements to the proceedings which I am quite alright with. What we end up with is very good production moves at a good pace and is a great story.